Yeah there is a lot more manoeuvring in AoS than is first apparent. With pile in moves it is possible to move in such a way other enemy units become wishing 3″ for example, or you can manouver to get some extra targets. Quite cool and very dynamic. Indeed. You are correct – it simply states “pile in toward the nearest enemy model”, which may be an enemy that is totally uninvolved in the combat. 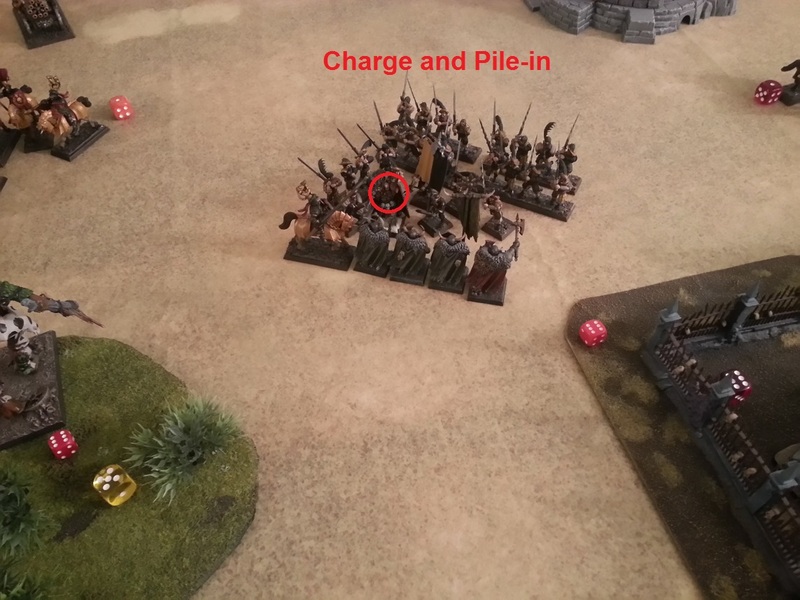 Your 3″ move toward that enemy unit may cause it to start its movement phase within 3″ of your unit, meaning it either needs to pile in or “retreat”. 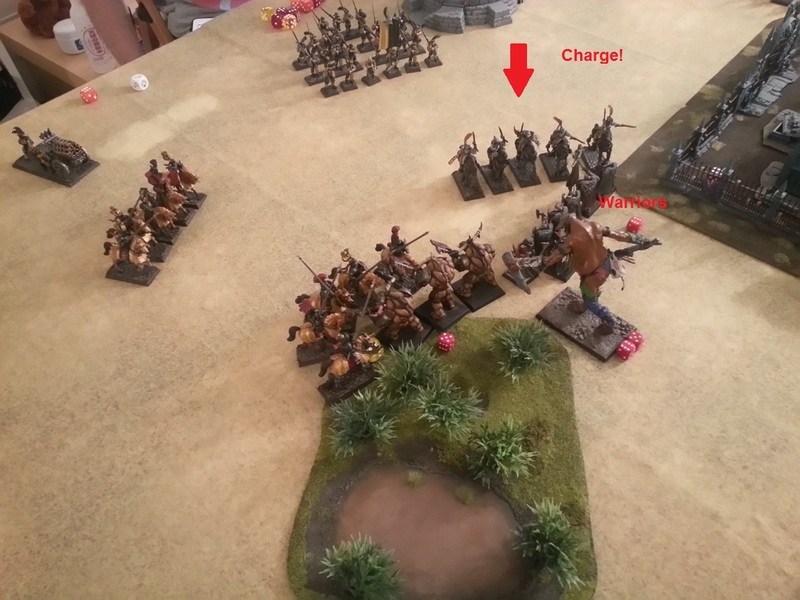 As you can see on my blog here, I play a lot of Epic, and the compulsion to “counter-charge” the nearest enemy model creates very interesting tactical situations. 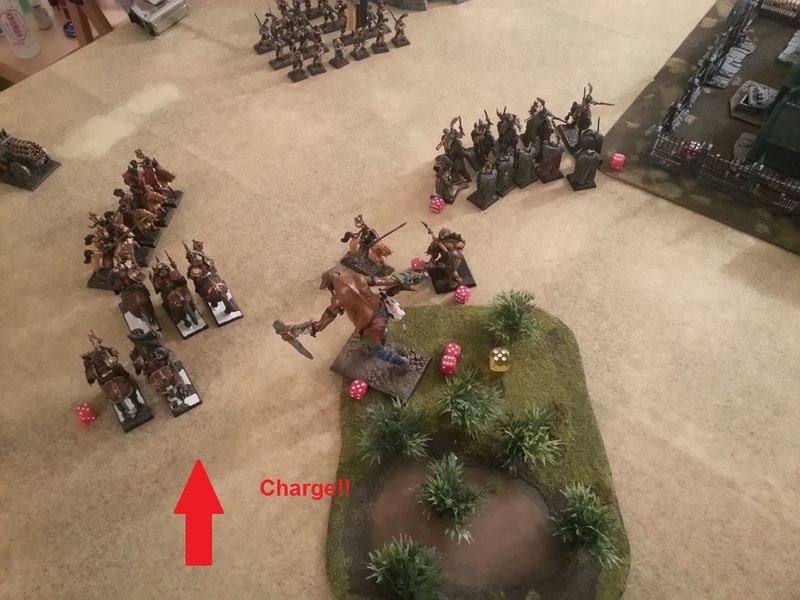 Careful placement of your own units before a charge can severely restrict your opponent’s options in dealing with your assault. Hard to explain without pics, but I think you get the idea. Yes. 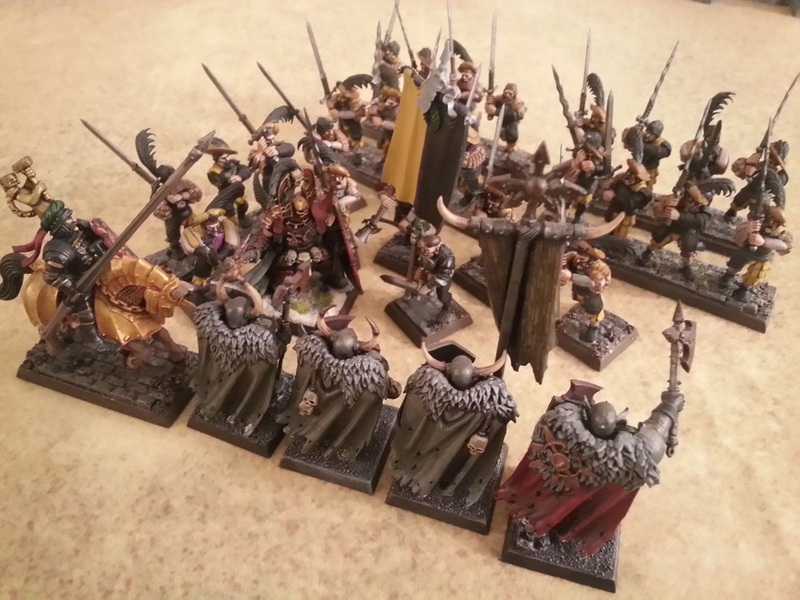 Friend played a game tonight and his pile in move brought models within 3″ of a non engaged (previously) unit. Lead to a lot more attacks against him than he anticipated. Lol. Liking it a lot so far, and people who had no interest before are jumping in with both feet. Thanks for the post. 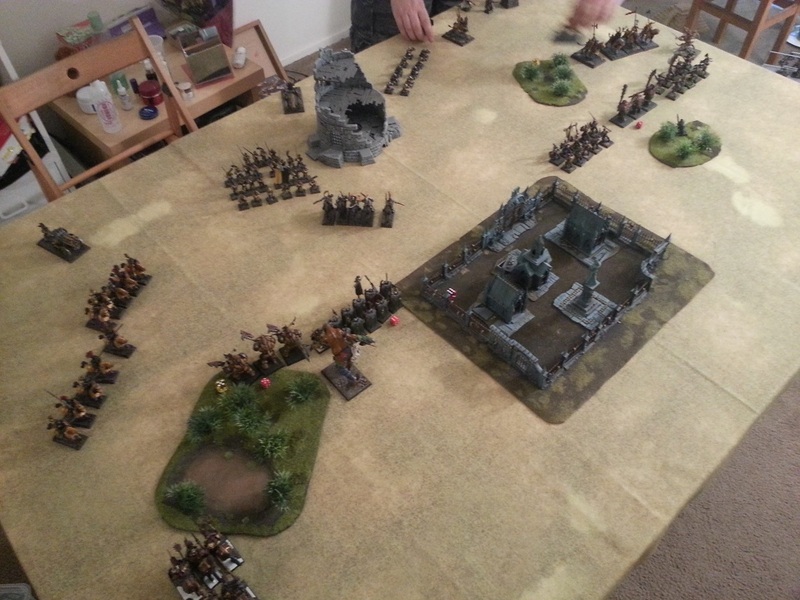 I’m liking Age of Sigmar and agree that it’s deeper than first appears. GW has always suffered from unclear writing, unfortunately. I think the flee mechanic is my favourite part of the game. The movement feels a lot more dynamic. I like that I can get guys out of trouble and not just wait for them to die if they’re stuck in a bad combat. 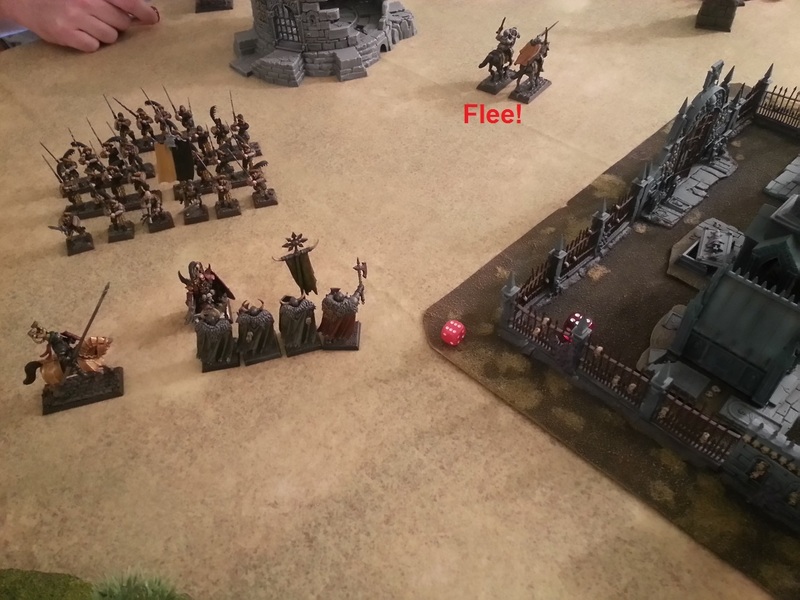 If you have a small unit stuck in a bad combat, you can bring another unit into the combat and then flee with the small unit, kind of like guys coming to the rescue of each other and letting them get out of harm’s way. Love it. The pile in is definitely jarring, though. You kind of naturally want to just push your guys 3 inches in any direction toward any enemies in the other unit, but that’s not what the rule says. It can really leave a lot of your guys stuck out of combat. Still wrapping my head around these mechanics myself. Totally agree about the flee mechanic. I like it a lot. Also agree about the pile in thing. Not sure how I feel about it. 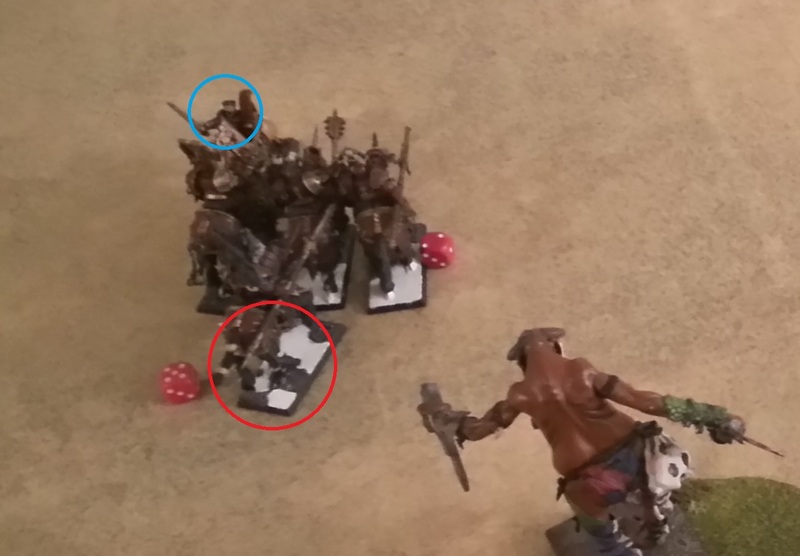 That Khornate Knight stuck behind his buddies and unable to participate in the combat “felt” wrong to me, but, on the other hand, I know that this is a rule that works very well and very subtly in Epic, which I play a lot of. The compulsion to move “toward the closest enemy model” is a rule that can seriously reward good planning and also punish poor planning. 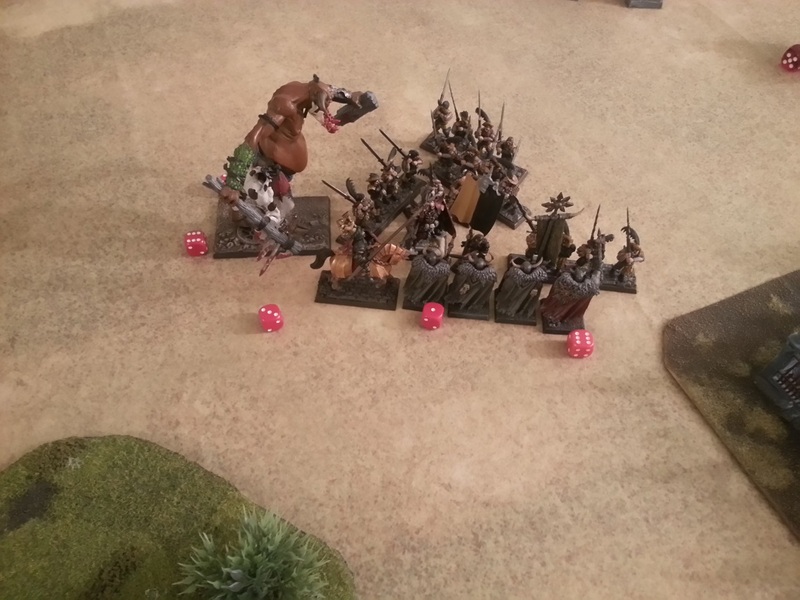 Maybe I won’t position my knights in such a poor way next time? At the end of the day, I guess it becomes a matter of what you and your gaming groups decides makes the most sense. At the moment, however, it looks to me like a strict interpretation of the “3” toward the closest enemy model” is probably the intended interpretation. But with GW, who really knows! Thanks a lot for the nice words. I appreciate it. I don’t know too much about Reddit, but I hear a lot about it. It’s probably time I checked it out. Reddits a good place to compile internet information based on related themes or subject matter, and since a lot of the YouTube community seems to be literally burning books over this age of sigmar release I’m trying to set up the subreddit such that people interested in the game get positive and constructive input so that we can FINALLY get new blood in the fantasy scene. To that end, when I find a good content creator such as yourself I plug the hell outta the subreddit because, IMO, concentrating the good content will promote the growth of the Warhammer community (because damn do we need new blood). Tl;Dr I’m just asking that when you post new blogs on AoS you post the link to the sub. I get what you’re doing and it’s great. Yes, I agree that there is far too much negativity surrounding this release. Personally, I try to avoid contempt prior to investigation, but it sure does seem to be the internet’s favorite pastime. Sure thing, I don’t mind posting links to the subreddit when I write new posts. Thanks again, and feel free to contact me if you have ideas on articles you would like to see.